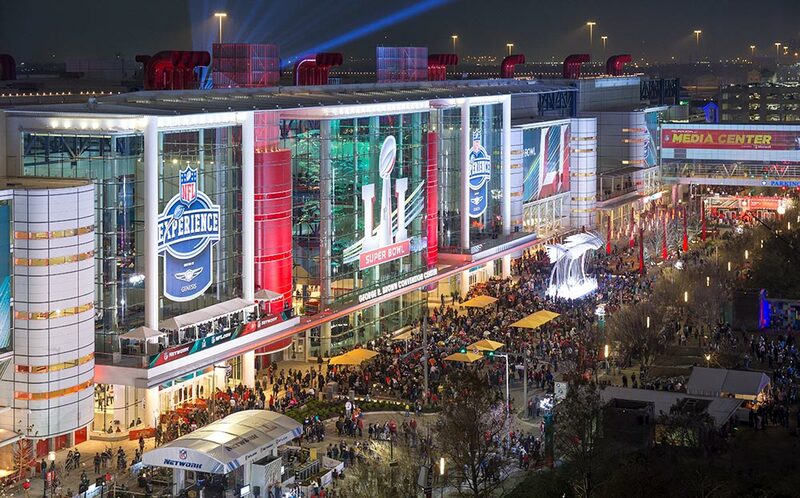 The downtown of Houston, Texas came alive in the exciting run up to the city hosting the Super Bowl in 2017. A large part of the work was intended to draw more people and events to the city in the future. 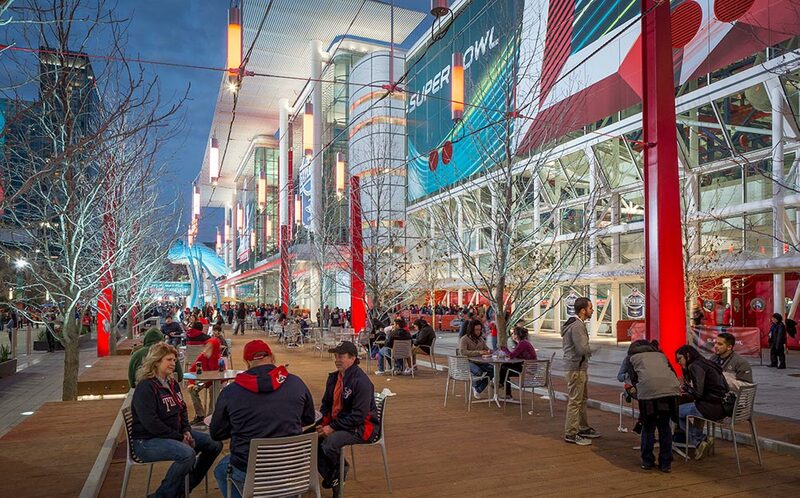 Included in this massive effort was a make-over for the George R Brown Convention Center (GRB) which played host to many of the pregame events and hosts international conventions throughout the year. 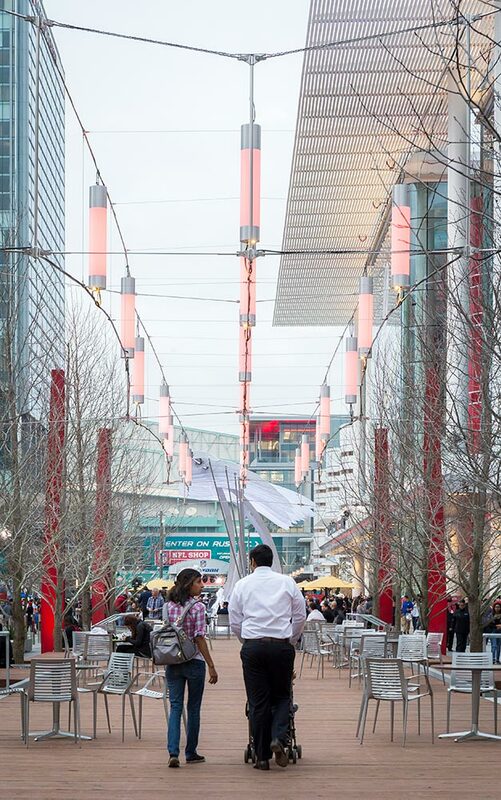 The public spaces around the convention center, known as “Avenida Houston”, were completely transformed as part of the renovations. One significant improvement was new outdoor lighting which would fit the intended functions of the space, and serve to create an inviting atmosphere and sense of communal space. 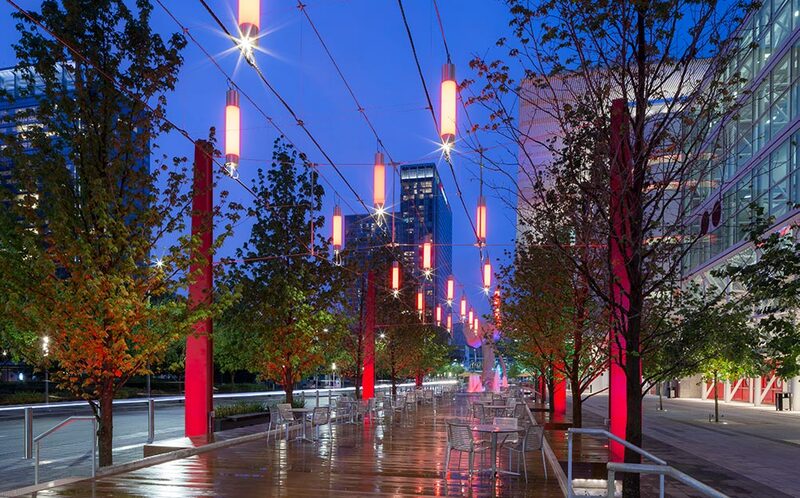 A cable net catenary lighting system was designed into the lighting plan, by the landscape designers SWA Group who worked closely with Lighting Design Alliance, in order to achieve this goal and now serves to illuminate new outdoor restaurant seating and landscaping elements. 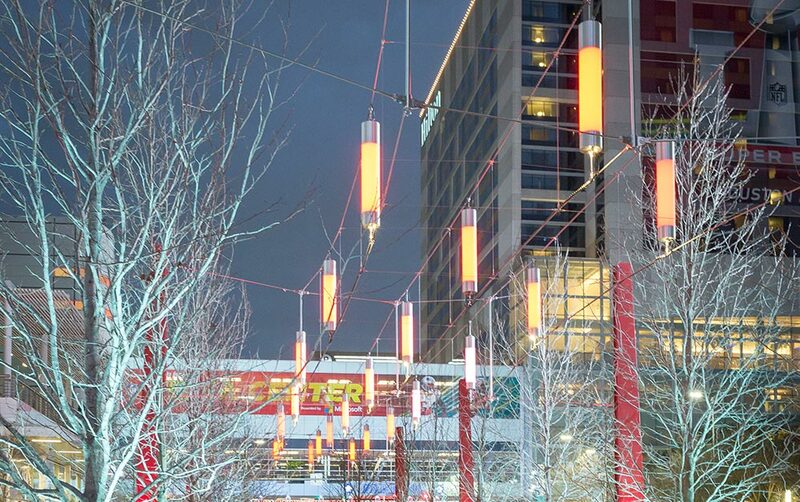 The design and planning of this lighting system posed some challenges, for both Ronstan, working with the custom lighting manufacturer Michael’s Lighting and the structural designers of Walter P. Moore. Each span of the cable net was going to need to be shaped in both the horizontal and vertical planes in order to achieve the most efficient and stable structure possible. The cables needed to be able to support the lighting elements and additional compression loads. Over a six-month period, Andrew Trowbridge of Ronstan Tensile Architecture used survey data from the site and CAD files from the landscape and structural designers, to integrate the structural cables and light support rods with the steel poles to ensure the system would deliver the dramatic lighting effects desired, as well as fit and function in the space. 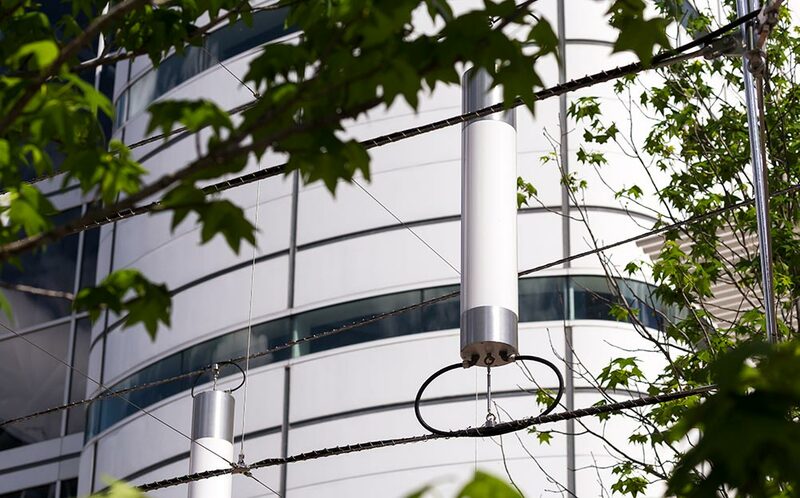 The structural components were designed using Ronstan ACS2 in 1/8″, 3/8″ and 1/2″ diameters along with custom components and Carl Stahl X-tend® mesh. The lighting elements would fit seamlessly into the structural cable design through the use of prefabrication practices. The electrical cables for power and control were installed and integrated at the Ronstan factory while the cables and other structural elements were being prefabricated. This process would make it possible for the cable net installation to occur over only a single week under the supervision and advising of a Ronstan technician, alongside Vaughn Construction and Renfrow Metalsmiths. The lighting installation followed in the second week after the structure was in place. 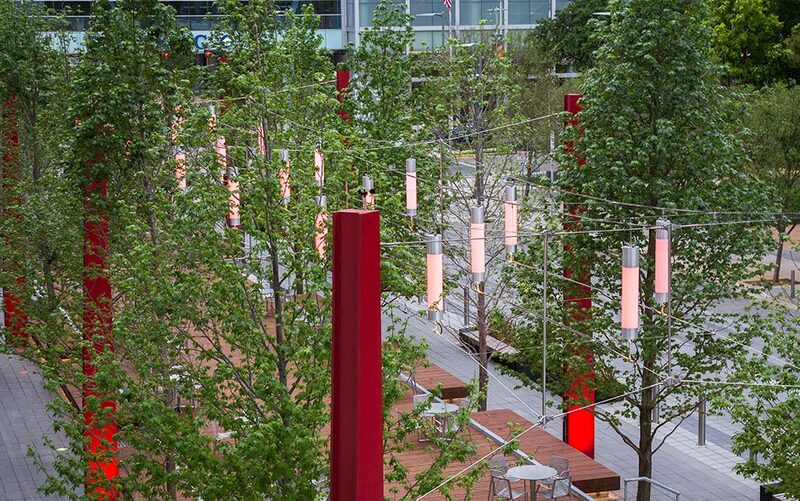 The prefabrication made the lighting elements and the cable structure fit together seamlessly, and easily. 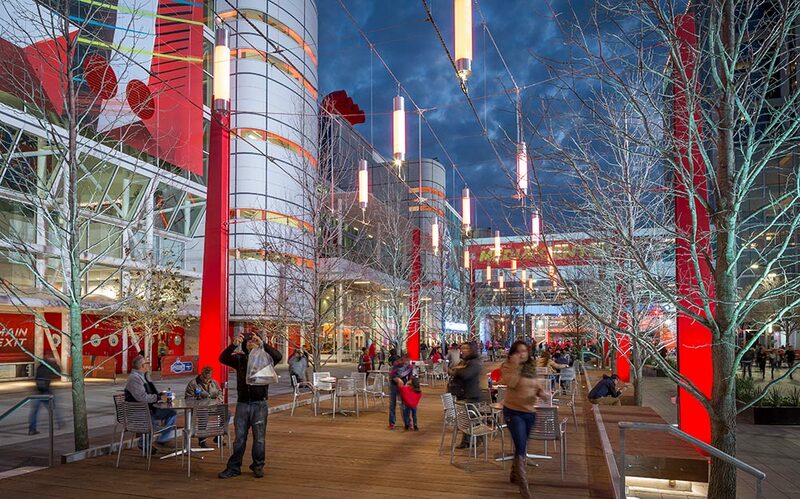 By all reports, Avenida Houston was an impressive new upgrade for the city of Houston. 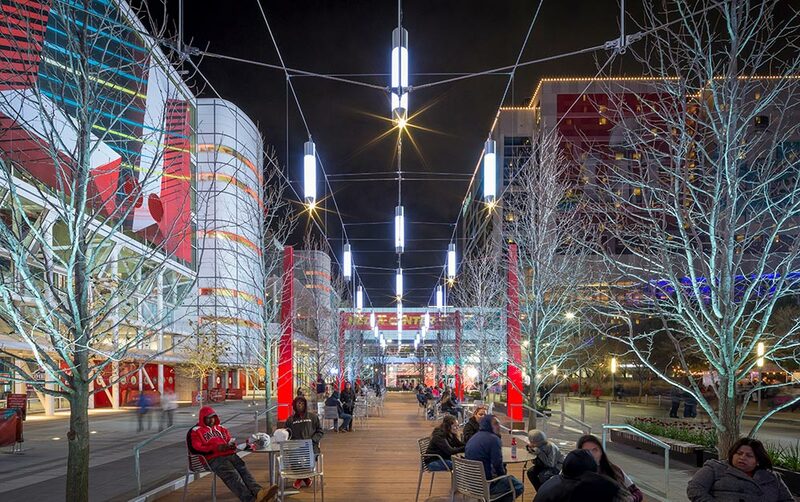 Ronstan Tensile Architecture delivered the catenary lighting project on time and on budget. 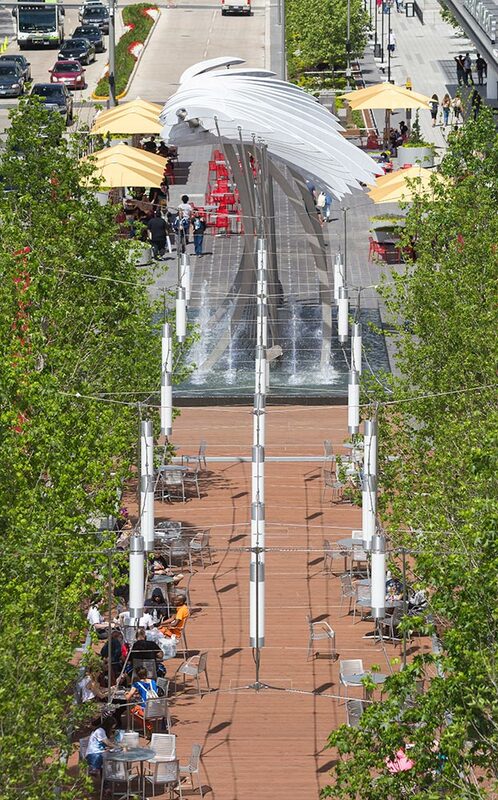 Please contact us for more information about this project, or any other catenary lighting project we can assist with.